Discussion in 'Discussion (Beta Versions)' started by deleted, Jan 14, 2015. Ok so this is the second time i have received this error, so i thought i would put it up now. whenever the new beta releases the update notification is shown at bottom right. So the main issue at our hands is that i am not able to upgrade from within the program, i have to download the setup file and then install it. another unrelated thing i wanted to ask is i have browsing security disabled from the start(never enabled) but still why is Adguard monitoring it ? As you can see i also reset the stats counter to be sure but it looks like it still keeps a check, why ? Have you tried updating one more time? It's possible that update package was broken while downloading. Confirmed. Actually browsing security does not check it, that's stats error. Adguard thinks that every request is checked by browsing security and increment stats. Anything to change this behaviour ??? strange don't you think ? is it possible that its working in the background and not really disabled but only a cosmetic thing showing as disabled??? I meant that the code that manages stats does not check if browsing security is actually enabled or not. It just increments it's stats for every request processed by Adguard. Of course it is a bug. thanks avatar for the support. Ok I am posting this in this thread only as I think its a related issue to the one I already mentioned(check Issue#2 in post#1 for reference). together with adblocker, browsing security also gets enabled itself. Thank you Vasily, was having this issue a day or two ago but now is not there. I will keep a tab and report if it's back. All i can say so far is that we were not able to reproduce this. When only adblocker is enabled and we disable overall protection, then 'close adguard' from trayicon. 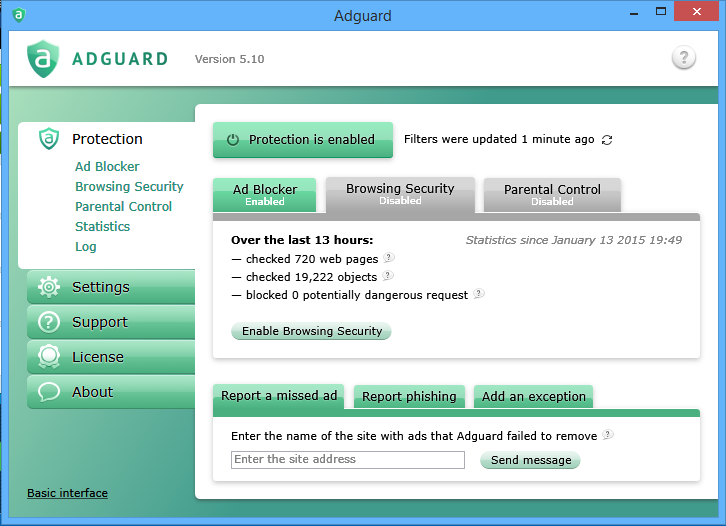 And we restart its service 'Adguard_Svc'(from either task manager or services.msc) and then enable overall protection, together with adblocker, browsing security also gets enabled on its own. Pls see if you can reproduce it now. This is not an intended behaviour. It should save the state such as enabled/disabled modules. U need any particular log or whole of them ? 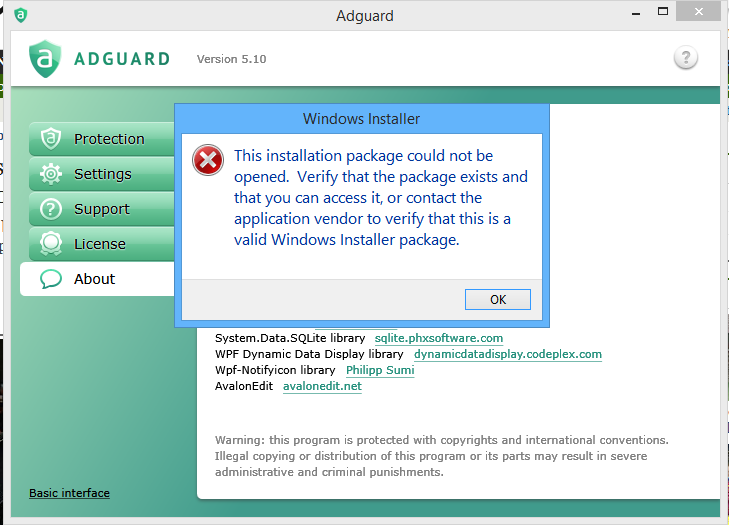 I am pretty sure this bug won't happen in Adguard v6.